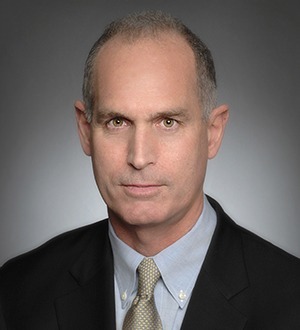 Tom Fileti is the co-chair of the firm's U.S. Real Estate Group. He represents a broad spectrum of clients in connection with investments in, and the financing, development, operation, and disposition of, real estate assets in California and throughout the U.S.
Mr. Fileti’s practice emphasizes real estate finance transactions and credit facilities of all types; transactions involving REITs; acquisition and disposition of real estate assets, loans, and portfolios; matters involving the financing, acquisition, operation, and disposition of hotels and resorts; real estate joint ventures and other equity investments; credit lease transactions involving corporate real estate assets; and workouts, restructuring, and the exercise of remedies with respect to problem loans, troubled joint ventures, and other problem real estate investments. He has also represented clients in connection with real estate aspects of transactions involving utility station sites and corridors. Mr. Fileti regularly represents financial institutions and other clients in connection with syndicated credit facilities; A/B notes and participation arrangements; mezzanine financing; and intercreditor and co-lender arrangements related to the financing of major office, residential, retail, hospitality, and mixed-use projects. Mr. Fileti’s REIT practice includes such matters as representing REITs and contributors in connection with tax deferred roll-up transactions involving the receipt of common and custom-tailored preferred operating partnership units; representing clients selling projects to REITs in taxable transactions involving cash consideration or REIT securities; representing lenders providing financing to REITs for working capital and acquisition or development lines; and representing REITs in connection with joint ventures, purchase and sale transactions involving individual projects and portfolios, development projects, credit facilities, mortgage and mezzanine loan investments, and other matters. Mr. Fileti is a member of the American College of Real Estate Lawyers and of the National Association of Real Estate Investment Trusts. While attending the University of Pennsylvania Law School, he was elected to the Order of the Coif.